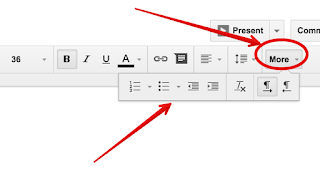 Google Slides is a powerful application that allows you to create, edit and share presentations. There are a wide variety of interesting features provided by Slides which make it an ideal presentation tool to use in class with students. First is its integration with Google Drive allowing you to not only save your presentations to the cloud and access them across different devices but it also means that you can integrate content from other apps such as Sheets, Docs, and Drawings right into your slides. The collaborative features such as co-editing and synchronous collaboration are also great for students group work. Groups of students can work on the same presentation and be able to remotely edit each others’ slides and track revision history. Slides is also very easy to use and has a simple intuitive interface with no learning curve for students. For these and several other reasons, we deemed important to highlight the educational potential of this tool especially now that teachers are heading back to school. 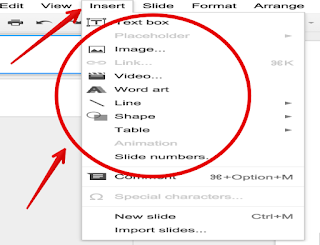 Slides allows you to use external themes in your presentations. 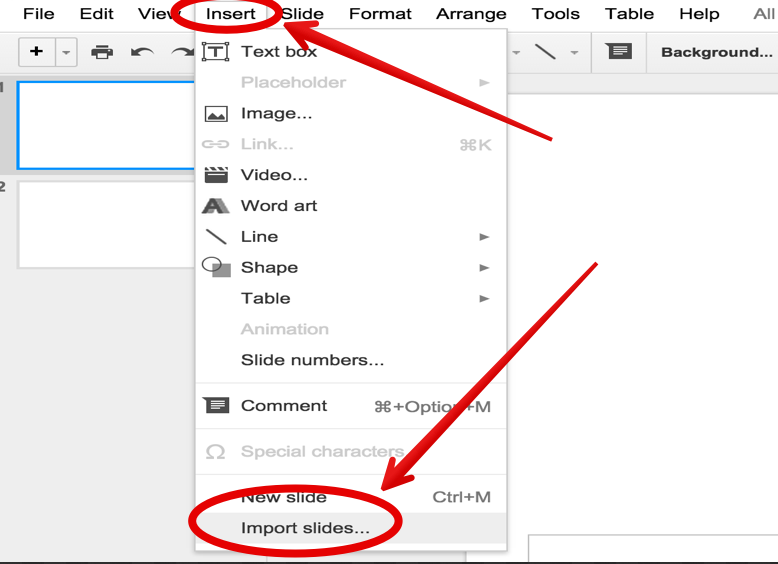 To import a theme into your presentation, click on ‘Themes’ then select ‘Import theme’. You can either choose themes you have already saved to your Drive or use the upload button to upload themes from your computer. Slides provides different types of transitions to animate your slides. You can customize the animations as you like. For instance, you can integrate a different animation for each slide or use a single animation for all slides. You can also control the speed of your animations choosing between slow, medium and fast. 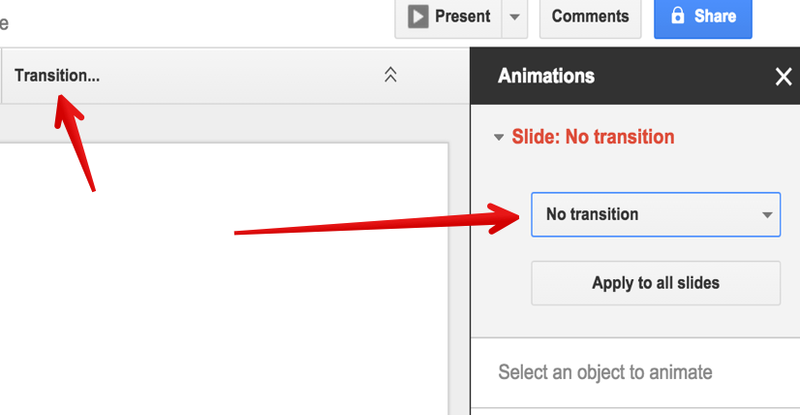 To apply transitions to your slides, click on ’Transitions’ then click on the drop-down menu to choose from animation types. 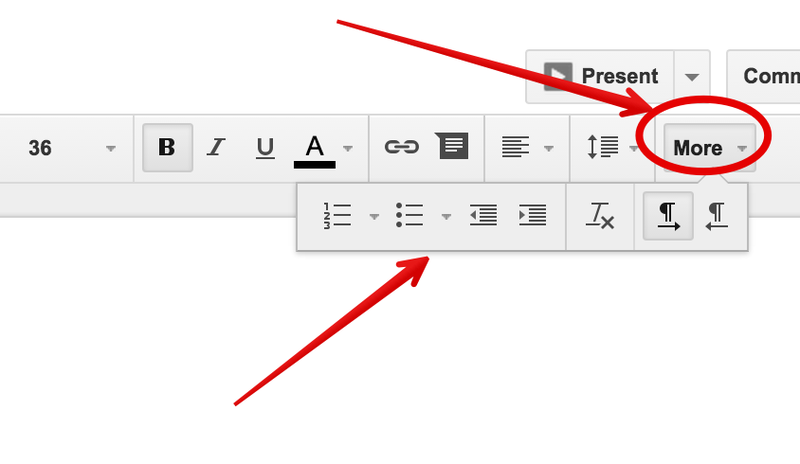 As the creator and owner of a Google Slides presentation, you have the ability to invite collaborators to contribute to your slides giving them some of your admin’s privileges. 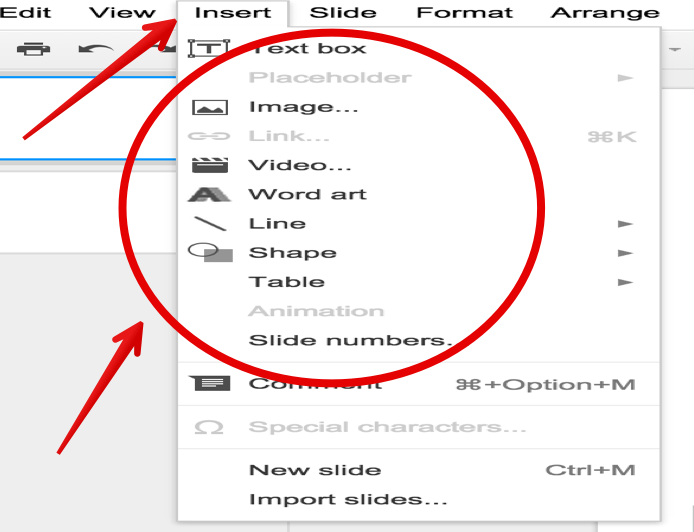 You can allow them to edit your slides, comment on them or simply view them. 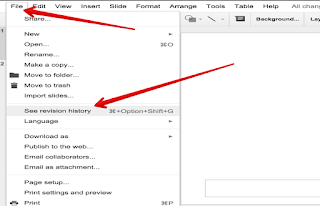 To do this , click on the blue button ’Share’, type in the emails of your collaborators and select from the drop-down menu what you want them to be able to do with your presentation. 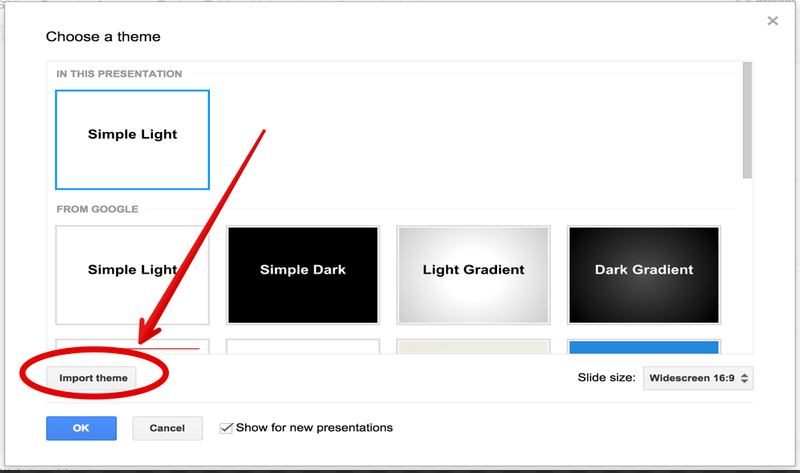 Depending on the content of your presentation, you may want to structure the form of your slides differently. 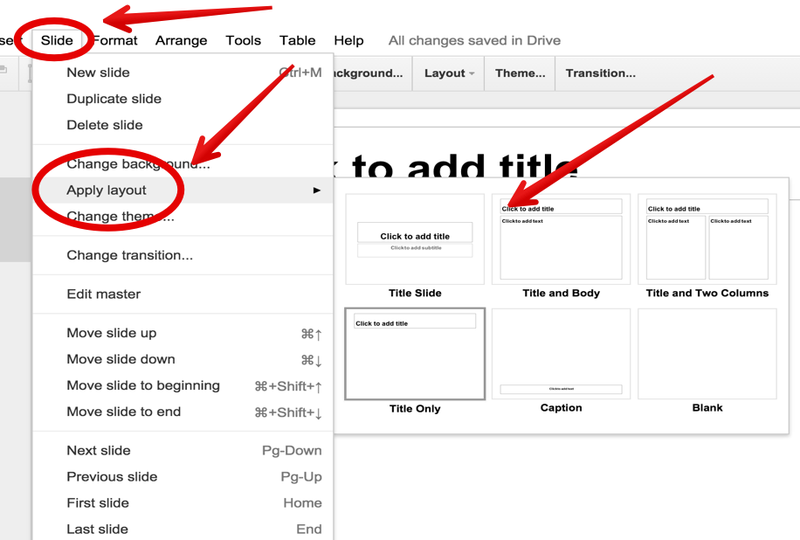 For instance, you may want to add a slide with title and body only, another slide with title and two columns…etc. 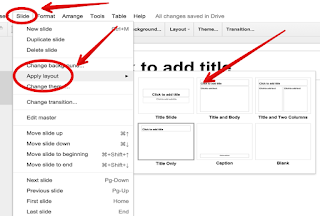 To apply these layouts, scroll up or down to the slide you want to structure (this can also be done when you add a new slide) and click on ’Slide’ and ‘Apply layout’ then choose from the layouts provided there. 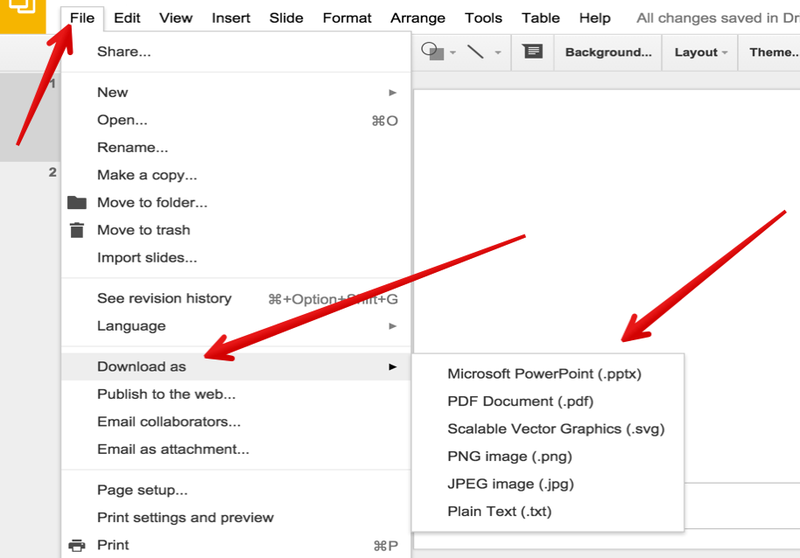 Google Slides allows you to import .pptx and .pps files and convert them to Google presentations. 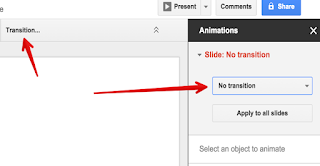 You can also import slides from other Google presentations you created in the past. To do this click on ’Insert’ then select ‘Import Slides’. To make engaging presentations you should definitely consider adding some multimedia content into your slides. 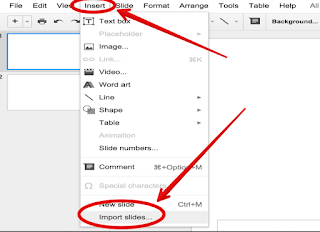 Google Slides allows you to add videos, drawings, pictures, shapes, tables, and Word Art right into your presentation. To do this, click on ‘Insert’ and select the type of content you want to add. You can use your keyboard to write in different languages provided the keyboard supports the characters of the target language you want to use. 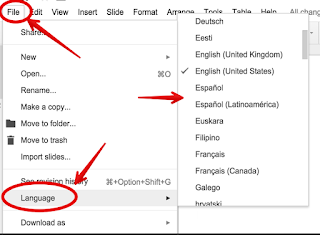 However, switching to a different language in Slides can be done through an integrated feature found under ‘File’ where you can access a huge list of supported languages. Using this feature will enable Slides' automatic spell check to easily detect tying mistakes in your writing of the target language. This saves you time and makes your text neat and clean. 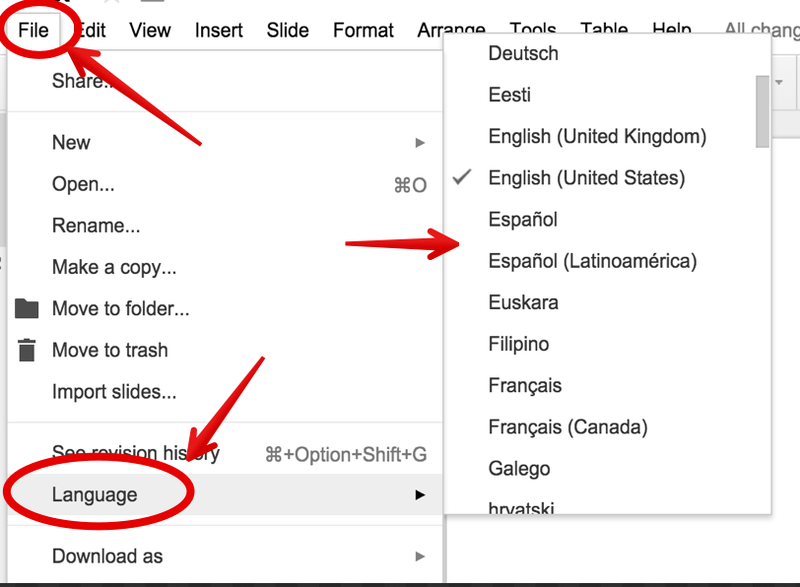 To switch to another language, click on ‘File’, choose ‘Language’ and pick the one you want to use from the list there. You can customize the typography of your text the way you want. You can choose a different font, colour, size…etc. However, there are also other features you can apply to your text which are not apparent from the authoring menu, these are hidden under the button ‘More’. From there you can add bulleted lists, numbered lists, increase/decrease indent, and set the direction of text from right to left or left to right. This is especially useful when you are working with collaborators on the same presentation. 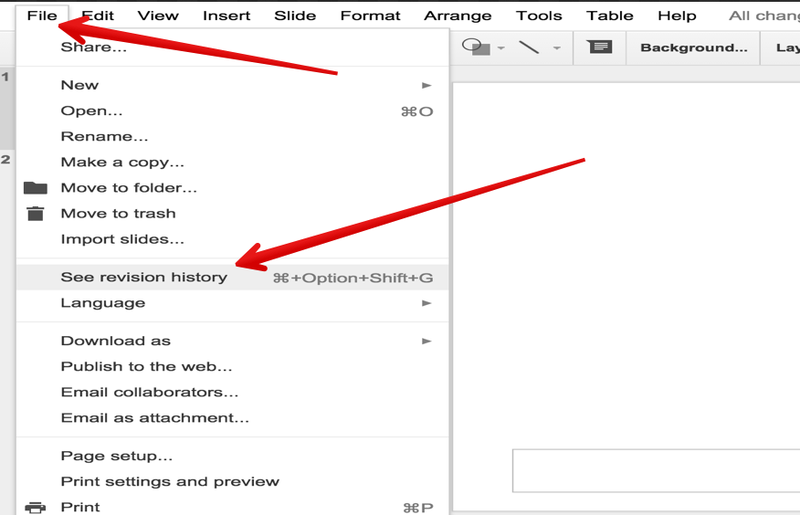 You can easily track each others’ edits and see a history of all the revisions applied to the slides. To do this, click on ‘File’ then select ’See revision history’. 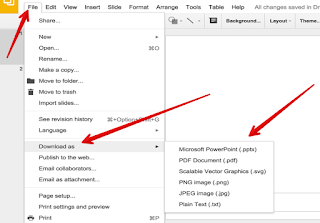 Besides being able to publish and embed your Google Slides presentations into a blog or website, you also have the option to download them in different formats including .pdf, .ppt, .svg, .jpg, or .txt file. To do this click on ‘File’ then on ‘Download’ and choose the format you want.